In 1850, a young Walter Blom started his apprenticeship in The Netherlands with the leading bulb growing and trading company of this time, Anton Roozen en “Zoon. 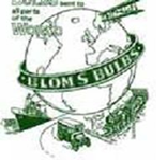 This same company became incorporated into Walter Blom en “Zoon” N.V in 1946. During 1860 Walter Blom married the daughter of Anton Roozen (known in the family as Golden Anthony). Soon after their marriage, a young Walter started trading Hyacinth bulbs with much success. 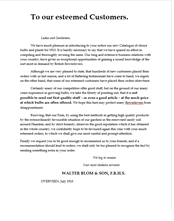 His son, Anton Blom incorporated the company, “Walter Blom en Zoon” in 1860. Anton established a mail order trade in flower bulbs for the English market, as well as expanding the bulb nursery in Overveen, Holland. In 1913 the business was continued by Anton’s son, also named Walter, who was a Fellow of the R.H.S. 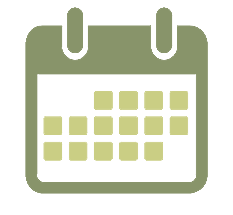 The bulb growing business in Holland thrived throughout this period as Holland remained a neutral country throughout the Great War. 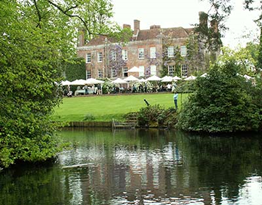 Naturally, all trade links with the British Empire were suspended at this time, it wasn't until 1929 when the next generation, yet another Walter Blom established nurseries in Addlestone, Surrey and restarted the mail order trade with the English market. During 1939 and the onset of WW2, after the invasion of the Netherlands by The Nazi’s, the country was classified “enemy occupied territory”. As a result of this the British Government confiscated all of our Land, Bulb Stores and Offices within The UK. By order of the British Government our nurseries in Scotland were ploughed to assist in the war effort and were used to produce much needed food for The British Nation. At the end of hostilities in 1945 my grandfather, Walter Blom was the first of the Dutch bulb growers to return to the United Kingdom. 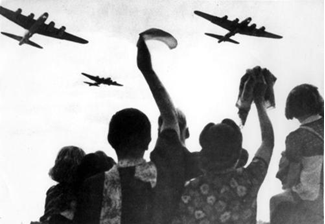 He was flown out by the R.A.F bearing a gift of flower bulbs from the Dutch Government to the British people in gratitude for the liberation of The Netherlands. It was from here that he set about re-establishing the business in the U.K. 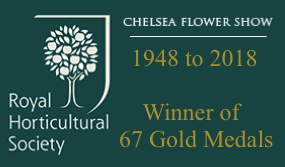 In May 1948 Walter Blom attained our very first Gold Medal at the RHS Chelsea Flower Show, since then we have won 65 gold medals. During 1949, Walter Blom became one of the nine founders of the “Keukenhof Gardens” in The Netherlands. 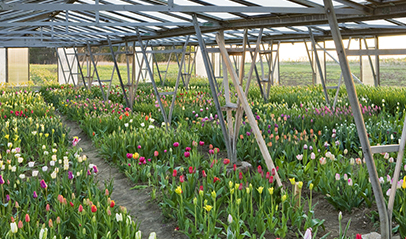 Together, they persuaded another 11 prominent Dutch Bulb Growers’ to come up with a plan to establish these now famous Gardens which were intended to “showcase” their new bulb varieties, as well as existing blooms. The very next year, 1950, “Keukenhof Gardens “opened to 236,000 visitors. Indeed, over the years’ “Keukenhof” has become the most visited and famous garden, with visitors’ coming from the world over just to see and photograph the amazing colour and variety of the blooms on show. 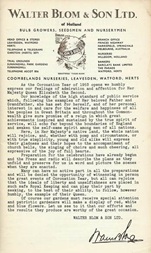 To celebrate the Coronation of Queen Elizabeth II, the 1953 catalogue had a foreword celebrating the Coronation year. 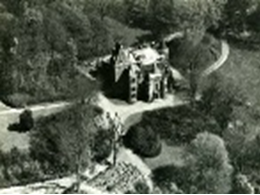 In 1980, we started supplying Chenies Manor. The high point at Chenies is the Spring season when over 7,000 tulips come into bloom to form a truly breathtaking display. The Tulips are arranged throughout the gardens in colour themes: white and palest yellow in the White Garden, reds, oranges and yellows in the South Border, a single colour in the Rose Gardens next to the house. Lastly, there are an amazing variety of grouped plantings in the Sunken Garden, all under-planted with complementary schemes of forget-me-knots, wallflowers and bellis daisies, amid permanent herbaceous plantings. In 1990 we relocated to state of the art nursery facilities in Bedfordshire. During 2009 Ronald Blom was awarded with a Peter Barr Memorial Cup Awarded annually on the recommendation of the Daffodil and Tulip Committee. 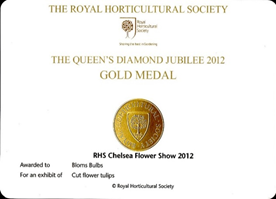 In 2018 we won our 66th Gold Medal at The R.H.S Chelsea Flower Show and we also recieved the EH Trophy at the 2018 R.H.S Awards which was awarded for the best cut flower display of any genera presented to the society.